Sweet, a lightly recruited player out of Southern California, also has punted for Washington State. He has been thrilled with his choice of WSU and thinks the team could surprise people this year. 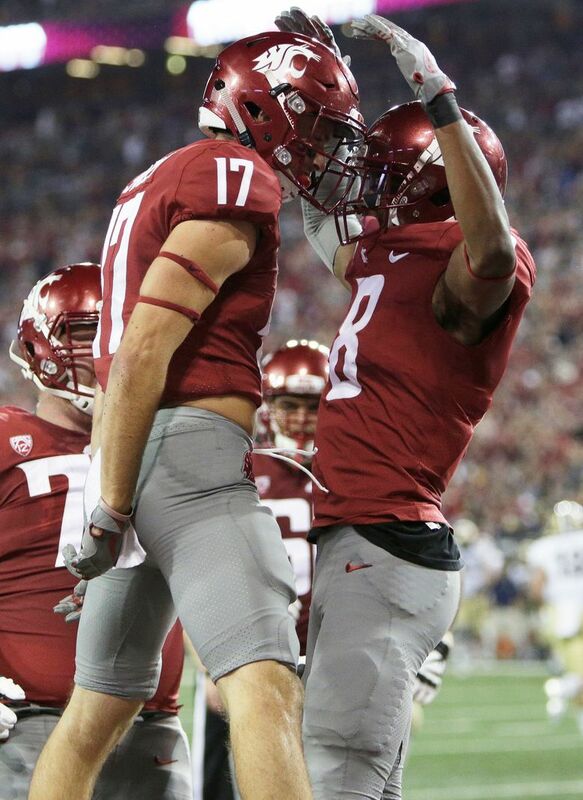 PULLMAN — With steady improvement over his first three seasons, it appears that Washington State senior receiver Kyle Sweet could be on the verge of something special his senior season. But after piling up 106 career catches, and also punting the past two seasons (likely the only player in the country to perform that double duty), he is more focused on victories than individual stats. Sweet, 6 feet and 190 pounds, did a little bit of everything on the football field for Santa Margarita Catholic High School in Orange County, Calif. He caught 153 career passes, played cornerback, punted and returned kicks. As a junior, he even played some at quarterback. But even though he had 89 catches for 1,341 yards and eight touchdowns as a senior, he was not highly recruited. His only other FBS offer came from Hawaii. 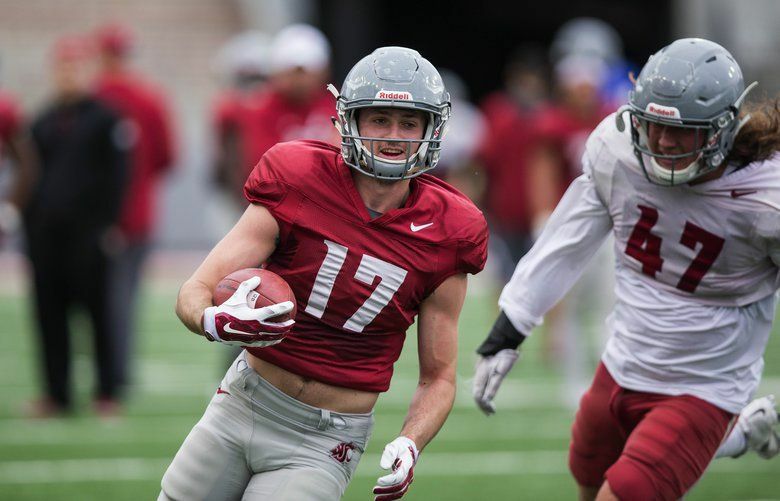 Sweet has played with a few high school teammates at WSU, including receiver River Cracraft and center Riley Sorenson, who were seniors in 2016, and current teammate defensive lineman Nick Begg. It was a move that has paid off for both WSU and Sweet, who got into the receiving rotation as a true freshman. What the Cougars didn’t know at the time was that they also had found a punter. One day early in his sophomore season, he was “messing around punting before practice.” Eric Mele, who was the special-teams coach, happened to notice, and Sweet told Mele that he had punted in high school. “He then asks me, ‘Can you can punt rugby (style)?’ and I said, ‘Sure,’” Sweet said. Never mind that Sweet had never actually punted rugby style (running toward the sideline and then launching a low kick that bounces). It appears the Cougars might switch to conventional punting, and Sweet might no longer punt (“but I am always ready,” he said). Either way, he will see plenty of time on the field as a leader of a receiving corps that most think is the deepest position on the roster. 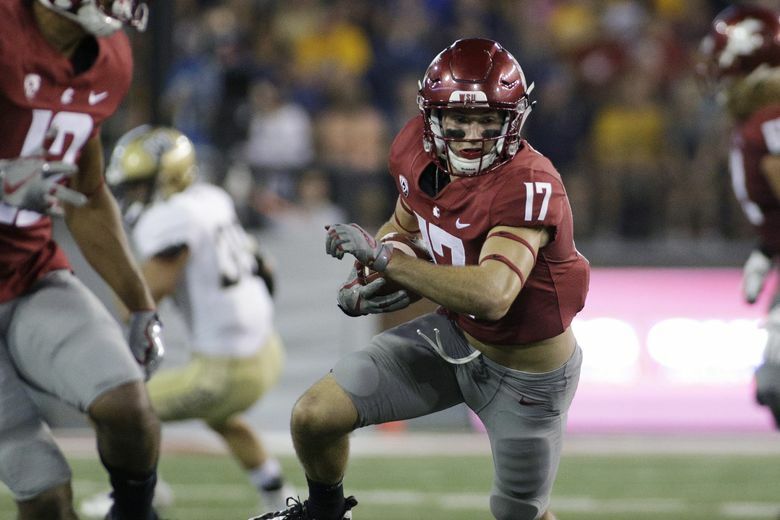 With so many key players having left, including quarterback Luke Falk and defensive star Hercules Mata’afa, many are predicting the Cougars to fall back a bit after records of 9-4, 8-5 and 9-4 the previous three seasons. Sweet said WSU might be even better this season than last year. And whatever happens, he will leave with fond memories.